Do you want to host a diaper drive on our behalf? Please contact us to give us a heads up. Helpamotherout.org has provided a toolkit that you can download in order to jump start your Nevada County Diaper Drive. 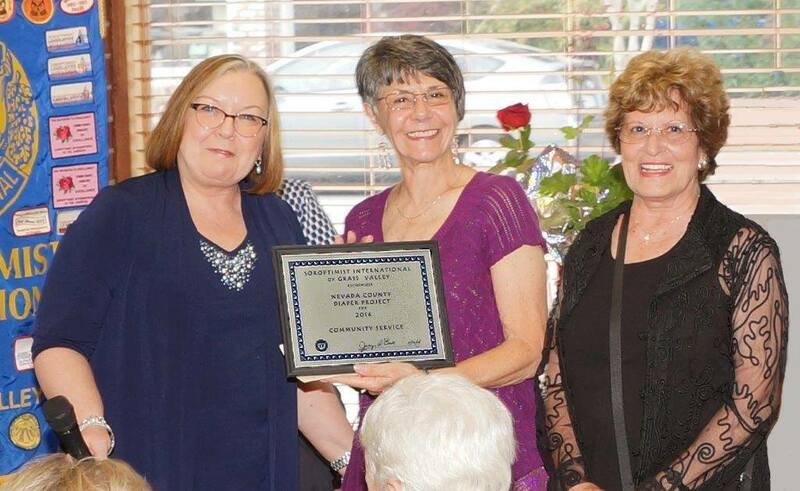 Betty Stiving of Soroptimist International of Grass Valley commends the Nevada County Diaper Project for being an organization active in community service. Founder Cathy Fagan and Board Member Myra Nicol accept the plaque and donation of $1,000, which will be used to purchase a pallet of diapers to distribute throughout the county. The funds will be used to purchase diapers to be distributed to the needy families of Nevada County. 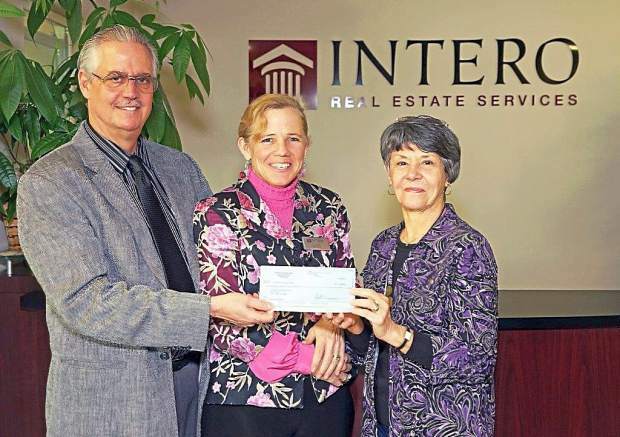 John and Edie Miller, realtors and owners, have recently opened the Intero Real Estate Services offices in Grass Valley and Penn Valley. They have worked in Nevada, Placer and Yuba counties for over 25 years. Established in 2002, the Intero Foundation, empowered by Intero agents and employees, has collected over $3 million, benefiting more than 130 nonprofit organizations. 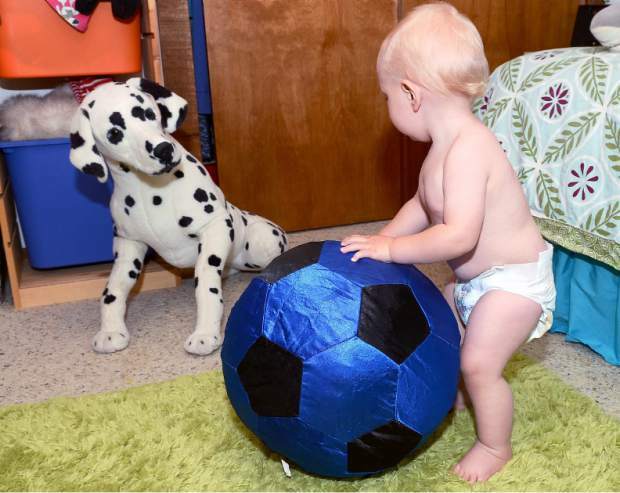 The Nevada County Diaper Project will be an annual recipient along with other nonprofit, organizations whose mission is helping young children in Nevada County. To read this article on The Union.com click here. According to new research from the Yale School of Medicine, there is one important question pediatricians should be asking all parents of young children. Researchers say the answer to this question could be a key indicator of a family’s overall well-being. The results came as no surprise to Joanne Samuel Goldblum, executive director of the National Diaper Bank Network and co-author of the Yale study of low-income mothers. Nearly 30 percent of the women surveyed reported ongoing or occasional diaper shortages at home. A shortage of diapers can create a negative chain reaction in an already-struggling household, the study showed. For example, a majority of childcare providers require families to provide disposable diapers. If a parent is unable to afford the required amount of diapers, he or she could miss crucial job interviews, job training or other programs geared for improving life circumstances. Because the Supplemental Nutrition Assistance Program (food stamps) and the Women Infants and Children Program do not categorize diapers as a basic need, they do not cover the cost. Nearly 8 percent of women in the study reported “stretching” the diapers they had when in short supply. In addition to the added stress of a fussy baby, infrequent diaper changes can lead to an increase in diaper dermatitis and urinary tract infections and a rise in emergency department visits. Both Fagan and Goldblum are part of a nationwide push to establish regional diaper banks for families in need. In 2009, The Nevada County Diaper Project was founded by Fagan for the purpose of providing diapers to young families who are receiving assistance through the Interfaith Food Ministry. The Nevada County project alone distributes a minimum of 4,000 diapers per month through distribution centers in Penn Valley, Grass Valley, Nevada City and Truckee. According to the Yale study, a sufficient supply of diapers costs an average of $18 per week, or $936 annually per child. Therefore, the cost of diapers is 6 percent of the gross pay for a single mother working full time at the federal minimum wage of $7.25 per hour or $15,080 per year. And that’s just for one child. There are an estimated 6 million American children under the age of 3 living in poverty. As mentioned above, many parents are prevented from seeking work or an education due to the requirement of diapers at childcare facilities. That, in turn, creates more household tension, which has the potential to lead to abuse or neglect, the study concluded. In addition to the discomfort of a soggy diaper, children may lose out when it comes to learning normal cognitive and language skills. To read this article on The Union.Com please click here.